Gypsum Desert - Music Video "My Only Way"
Gypsum is a soft sulfate mineral. One variety of the mineral will be familiar to most, alabaster; used since the ancient world in sculptures and buildings. This Gypsum Desert gets its name because of the millions of gypsum crystals that make up the desert's clean, white sand. 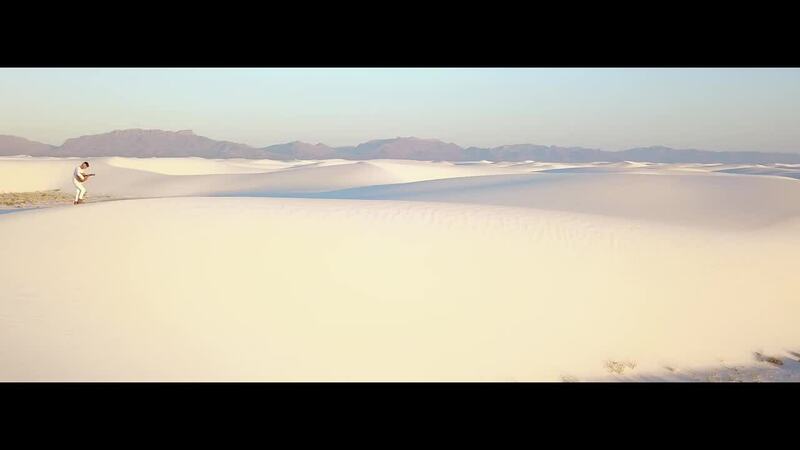 The white sands in this music video by inigui almost look like snow! Description: We were out camping and decided to have some fun. grabbing some shots for a music video "My Only Way" by Withinseekers.